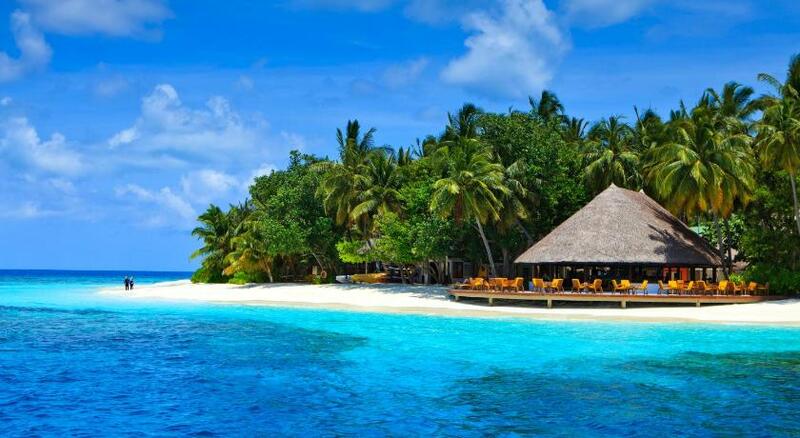 A true island paradise, Angsana Ihuru is an eco-friendly luxury resort located on the tiny beautiful island with the best house reef in the Maldives. Peace and quiet is the name of the game in this resort with 45 villas run by Singapore's Banyan Tree, one of the world's most luxurious hotel brands. Management is done by attentive staff in a sporty colorful uniform, as well as by the ubiquitous general manager. For guests there is one of the best house reefs in the Maldives - literally a few meters from the beach is hypnotic snorkeling (for free! ), as well as excellent diving (own 5* star dive center PADI). 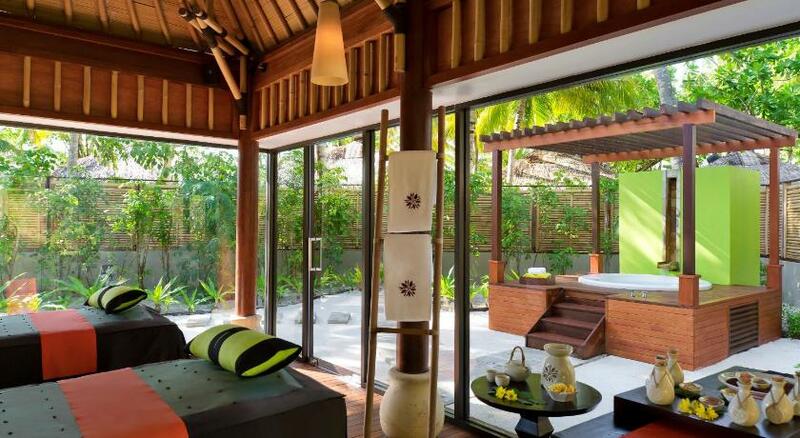 Two categories of stylish, modern villas under thatched roofs with hydromassage baths in huge bathrooms in the open air, and without; all villas have dressing bathrobes, sandals, as well as fully stocked mini-bars. Delicious food and drinks are served in the restaurant, and guests should expect an easy, unobtrusive pressure from the staff offering to book a therapy session at the excellent Thai spa. To diversify the activities there is a free transfer to Banyan Tree Vabbinfaru next door, where you will also find a restaurant, bar and spa. The close family, the Angsana Ihuru and the Banyan Tree Vabbinfaru are both prestigious resorts, do not doubt, but the hotels prefer to stay away from the brilliant luxury facilities such as large swimming pools and water villas. 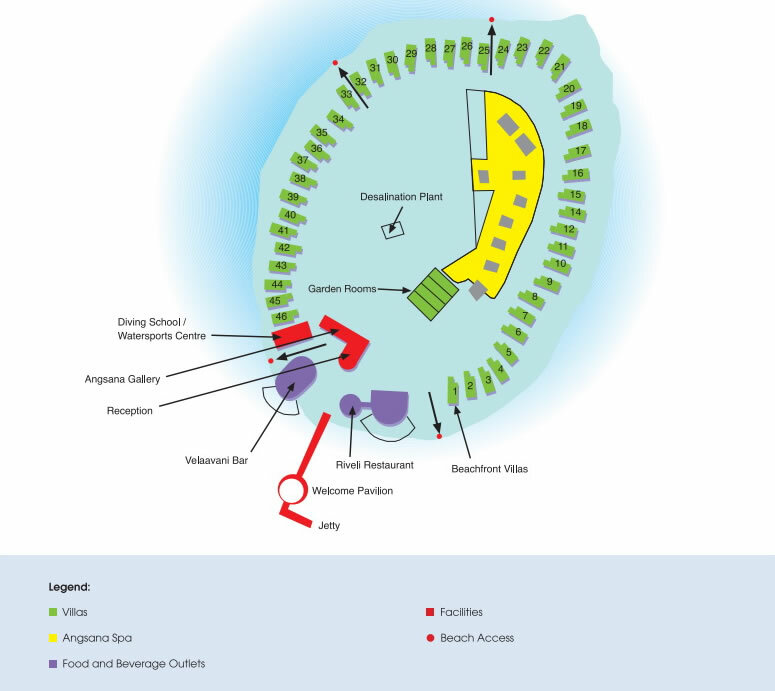 These two islands also divide the kiosk at the Male airport, and on the boat guests are provided with bottled water and cold towels with the scent of fresh mint; If the captain discovers a flock of dolphins on the way, he will stop for a photo. The procedure of welcoming on the island is truly impressive, and landing on the pier begins with a warm welcome from the manager and key staff. On both sides of the pier there is a restaurant and a bar where guests can relax with a drink and watch new comers (the island is small and usually there are frequent intersections with other guests in this common area). During the check-in, a welcome drink is offered and then guests are escorted along the quiet sandy paths winding between the palms to their villas that are decorated with flowers on the bed, a plate of fruit, the fragrance of incense, and the room is filled with sounds by instrumental music from the CD player, creating a soothing, spa atmosphere. The spa itself is not far from your room and the masseuses always offer free shoulder massages to encourage newcomers to make an appointment, which many do. 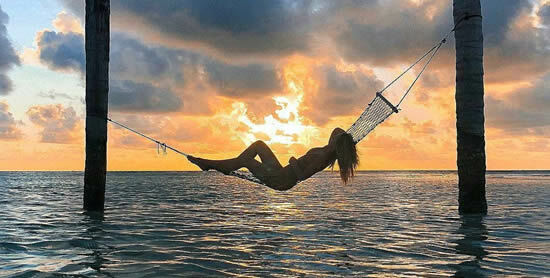 Otherwise, most of the guests spend their time enjoying the beach and the house reef snorkelling. The villas surround the whole shore, and all paths lead back to the main hub; you will need a short time to explore the entire perimeter of the whole island or find your place under the sun. Compared with the neighbor, Banyan Tree, Angsana looks younger and more modern, almost steep, with its color citrus-yellow scale, earthy-orange and green, the color of the young bamboo features. With a major upgrade of the diving school it is one of the best resorts in the country for things as sweet as diving, house reef snorkeling and relaxation in paradise. There are also slight positive changes in terms of service and atmosphere, partly as a result of a change in the clientele that has become younger and less accustomed to having only the best in life. Part of this is the result of a happy team of staff, mostly Maldives, who has worked on the island for many years and fell in love with him as her own. As is usual in the Maldives, all the staff lives in a hidden quarter on the island (ask the general manager and you will be guided by the tour). 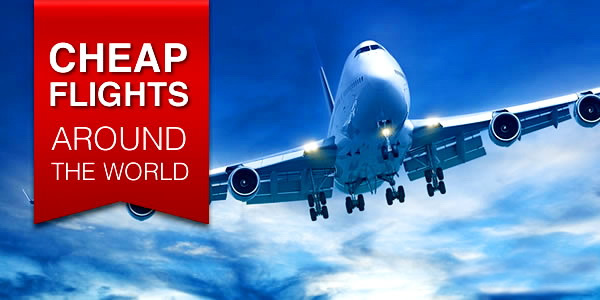 There are more than 100 employees from Maldives, Sri Lanka, Bangladesh, Thailand and a number of European countries that all together create a hospitable and friendly environment. The general manager appears most often while eating to help with the organization, or appears on some event of the day. On Sunday evening there is live music and dancing in the bar, and couples often end the other evenings with a cocktail or two before going to bed and taking walks holding hands under the stars, along romantic paths back to the villas. 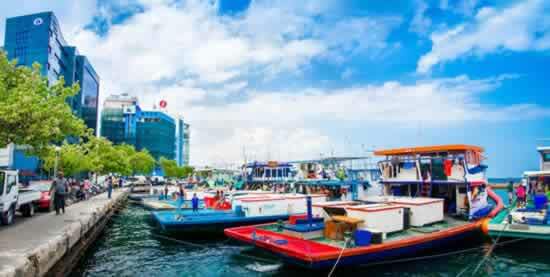 Maldives is a separate state in the Indian Ocean, consisting of 26 atolls and more than 1190 islands. Each resort (there are more than 120 of them) is located on a private island, providing peace and quiet, as well as easy access to water and incredible marine life. Angsana Ihuru is one of the smallest islands, and very easy to explore, especially pleasant walks around the circumference at sunset and at sunrise. 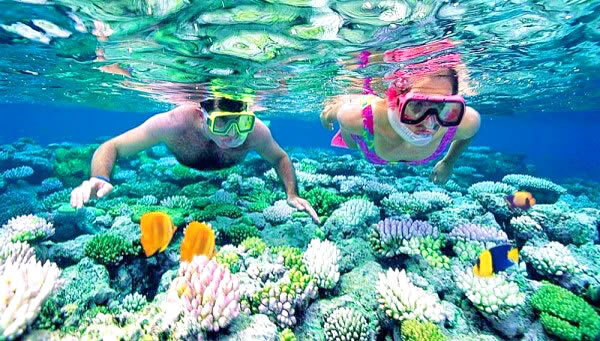 The resort offers excellent snorkeling on the house reef (free of charge), and there is also a 5 * dive center PADI. During peak seasons, a regular boat transfer to the neighboring island of Banyan Tree is offered every two hours. 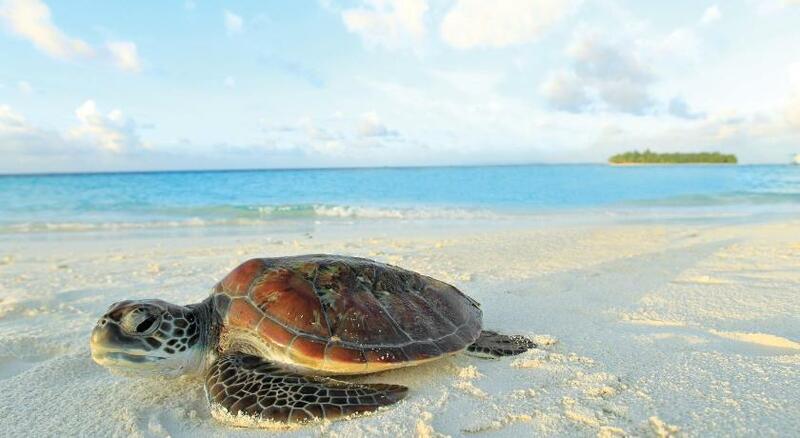 The main attractions are the turtles and rays feeding, a chill bar and a modern restaurant. Despite the fact that the state religion of the Maldives is Islam, private sale and use of alcohol is allowed on private islands. 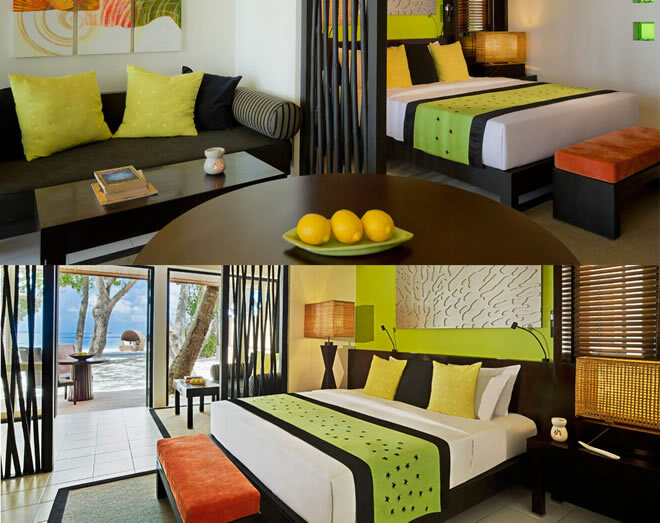 Boasting 45 keys, the resort offers 25 Beachfront Jet Pool Villa and another 20 beach villas. Rooms with tiled floors and bright, light green and orange in a dark (almost black) setting. The newlyweds are given a welcome bottle of red wine and regular guests will greet with a bottle of Moët. Each newcomer sees a plate of fruit, and the list of mini-bars includes two free bottles of water, accessories for tea / coffee, as well as energy, including half a liter of vodka, Gordon's gin, Bacardi rum, Red Label Johnny Walker, Champagne bottles, wine, beer, lemonade, snacks, and Kodak camera. Aromatic sticks and a relaxing CD-ROM can be used free of charge to create an atmosphere. Initially, the rooms in Angsana Ihuru were nice, but small. Today they have significantly expanded. The living space was transformed by increasing it by a quarter. The old deck became part of the new interior, and new terraces were built. The new transformation freed enough space for a double bed (king-size), rather than the previous double bed (quin-size). The floors were laid modern tiles. In a small garden in front of each villa a swing was installed - another private spot surrounded by bushes and trees. And from within each room, you can see the beach and the lagoon. Villas are located close to each other, but are separated by fences and dense vegetation. Some are more private than others, but each has a direct access to the beach, which often looks deserted. Double doors lead to the patio in the open air. On your patch of sand there are two chairs with shrubs of vegetation on each side for greater privacy. Although the resort attracts mainly couples, families also like Ihuru, and in each living room there is a sofa for younger guests (additional beds can be installed). 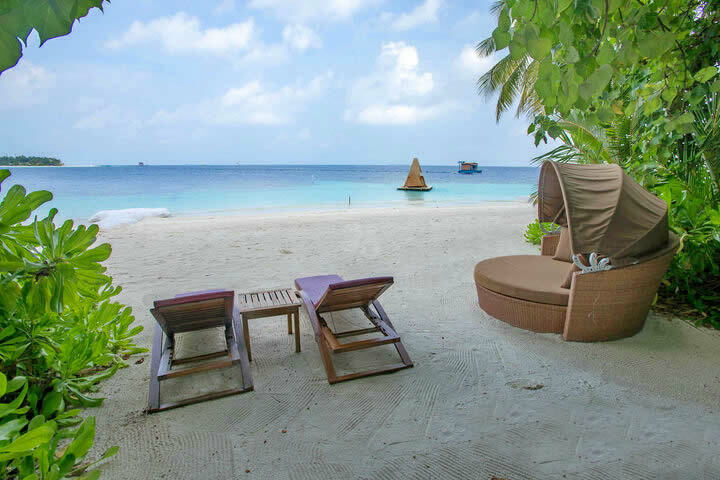 For the fans of the sun and beach Ihuru is equally perfect: a continuous wide beach with fine white sand. There are no breakwaters, no walls, only a temporary collapse on the additional sides of the island to resist the free movement of sand for 2 seasons. Pumping, however, was used to strengthen the side of depletion, and over time a decrease in the amount of finer sand reduced the quality of the beach from perfection. Nevertheless, this is one of the best boutique hotels in the whole region. 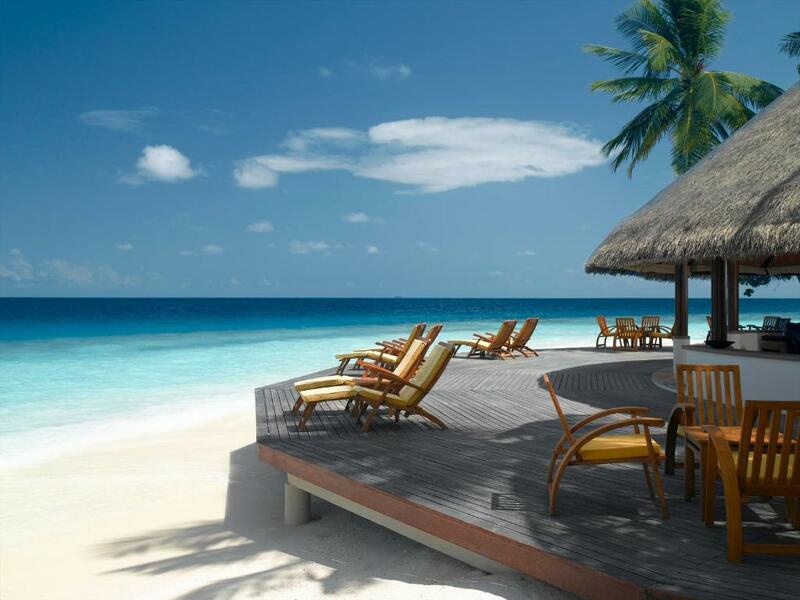 The perfect geography of the island itself has brought many awards, and the highly commendable, "green" attitude of the owners to the property guarantees much to choose Angsana Ihuru. After a global search, the beach was named the second best beach in the world in magazines on this subject. And if that's not enough the house reef was chosen by Asian divers as the best resort with a house reef in the Maldives. Many reviews confirm that it still remains in excellent condition, despite the cases of bleaching in 2010. There is a beautiful house reef on the island - one of the best in the Maldives - an ideal place to discover colorful fish, reef sharks, rays and turtles. The resort has its own dive center PADI for all levels of certification, along with day and night dive trips. You can go to diving right from the beach, and next to the island there is a great wreck. Snorkelling equipment is free of charge, and snorkeling can be easily enjoyed a few meters from the shore. Other water sports are available at an additional cost and include: sailing, Hobie Cat, catamarans, windsurfing, reef fishing, tubing and wakeboarding. 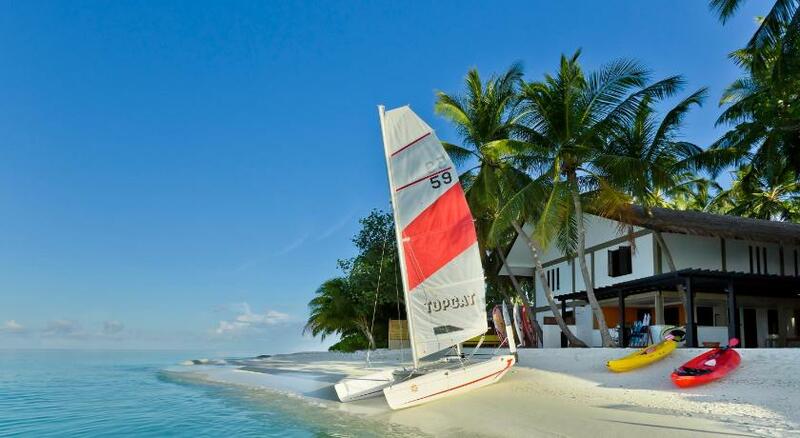 Day time sees the use of free non-motorized water sports and absorption of excursions (when travel to Male for each pair has its own guide), but in the evening there is a few entertainment only, usually a simple "bodu beru" after the Maldives' "buffet." 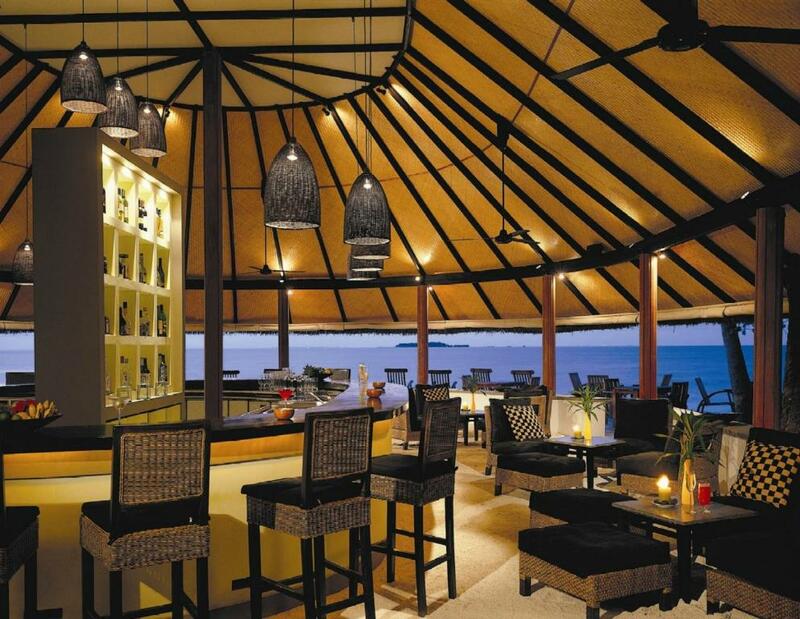 Located on either side of the main jetty, the only main restaurant and bar serves the entire island. 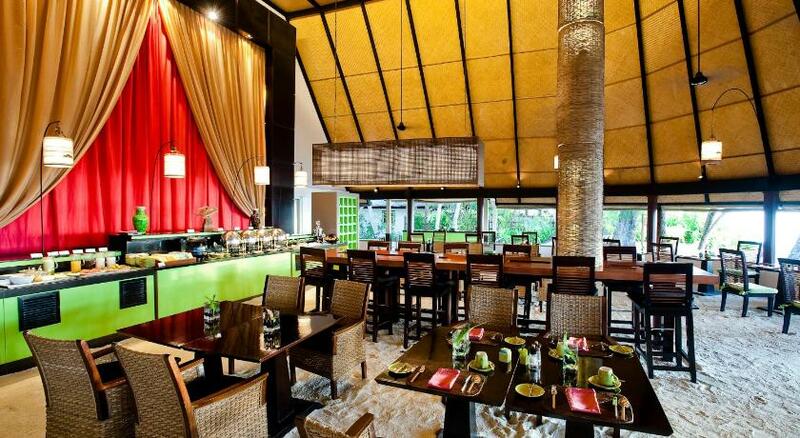 The Riveli is open for breakfast, lunch and dinner; The choice of cuisine includes dishes of Maldives, Asian and Mediterranean cuisine. The meal plan in the restaurant for breakfast and lunch is buffet style, and for dinner on the tables, expect an a la carte menu, with several themed culinary experiences on offer to help prevent monotony. The dining room has two dining rooms - inside and outdoors next to the water - the last tables are especially popular for breakfast while the sun is still high with fragrant coffee and fruits, including mangosteen. Other delicious events include weekly beach lobster dinners near the ocean, and a romantic sunset cruise. Private lunches and dinners can be arranged almost anywhere on the island including a spa. Previously, for everyone here was a full board, but now each meal plan can be upgrade to "all inclusive." WiFi is available all over the island, but there is only one TV in the resort; that is in the bar. The only main bar is the rapture as soon as the dark blue sky is dressed in the night, and the fires of Male City shine on the horizon. Spot lights along the perimeter, pendant lamps above the bar and candles on the low tables help create a truly cozy, romantic atmosphere. The bar is on the other side of the main entrance with a large covered lounge area, as well as a sun deck directly by the water, studded with wooden chairs with sporty, bright yellow soft seats. Delicious drinks are complemented by an amazing ocean views with divers and snorkelers on the horizon. The cocktail map includes a long list of classics, along with a good selection of wines, and 13 kinds of champagne. Those who after detoxification or comply with the dry law with the rest of the Maldives, will find a long list of non-alcoholic cocktails and 16 kinds of tea from Sri Lanka. On Sundays in the bar, after dinner, live drum music is performed by a local folk group - most of the guests join in the fun, dancing with each other and with the staff. Angsana Spa Ihuru is a beautiful Thai spa where all the masseuses are trained in the reputable academy of this company. The spa has seven treatment rooms with Thai, Indonesian, Israeli, and Chinese treatment procedures. All scrubs and conditioners are prepared from natural local ingredients just before the procedure. There are a number of interesting options, including head massage with hot sesame oil, polishing the body with coconut chips, and body conditioning. Packages for two - very popular. The spa is usually loaded with work, as the guests take seriously the motto of the island "do not miss the moment" and often succumb to sensual pleasures, a really great massage. 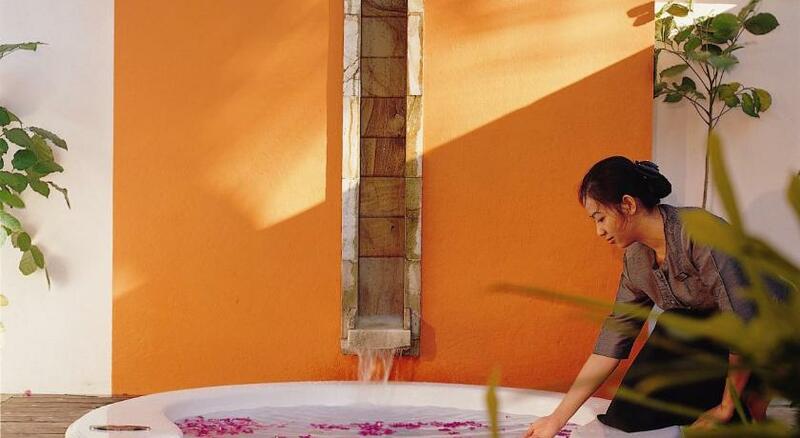 Therapeutic subtleties and aromatherapy is the main specialization of Angsana Spa. In Angsana there is a gift shop that sells brand products and medical cosmetics can also be found in the rooms, and in the spa. Near the store is a fitness center, which is rarely used. The essence of Ihuru is diving and snorkeling, a wonderful spa and a good private life in simple luxury on a paradise island. The second time on this island, the impressions took the best again. Arriving a second time, they felt like a dear guest. Excellent service, well trained and friendly staff. Large, clean and spacious villas. 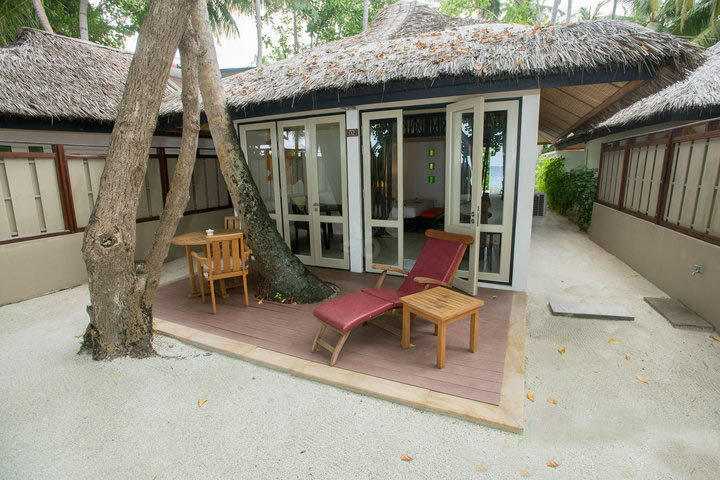 Perfectly thought out rooms with their own courtyard each and with their access to the beach! Awesome Spa - Full relaxation! All children are welcome; Maximum 2 free kids per unit paid.